Xiaomi Redmi 6 is now available for open sale in India, joining its sibling Redmi 6A. The announcement was made via the Redmi India Twitter account and comes on the heels of a similar announcement for the Redmi 6A. The tweet by Xiaomi mentioned that only the Redmi 6 64GB storage variant will be on open sale, but the 32GB storage option is also up for grabs without any flash sale at the moment. Both Xiaomi’s official website mi.com as well as Flipkart. Get the next level smartphone experience and efficient battery on Redmi 6. Now on open sale on https://t.co/cwYEXeds6Y & @Flipkart. While the company has not made an announcement in that regard officially, the Redmi 6 Pro is also on open sale in the country at the moment. 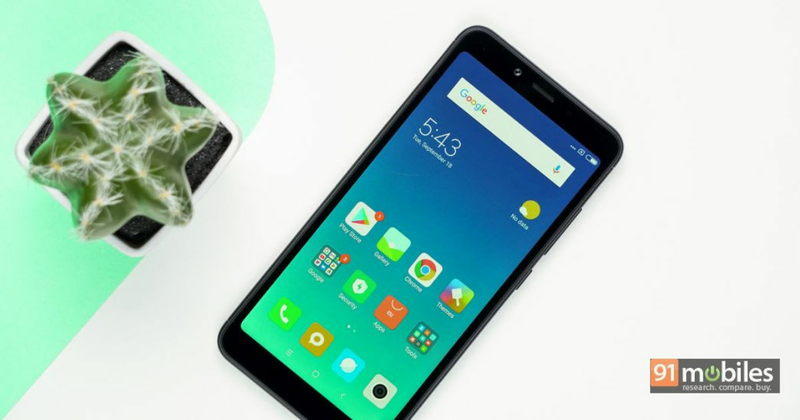 This smartphone, like the Redmi 6A, can be purchased only via mi.com and Amazon India. All the three models — the Redmi 6A, Redmi 6, and Redmi 6 Pro — were launched at the same event in September this year. The Redmi 6 specifications include a 5.45-inch HD+ display with 8:9 aspect ratio and Android Oreo-based MIUI custom software. It is powered by the octa-core 2GHz MediaTek Helio P22 processor. The smartphone has dual 12MP + 5MP rear cameras and 5MP selfie camera. Battery capacity of the handset is 3,000mAh battery. The Redmi 6 price in India is Rs 7,999 for the 3GB RAM + 32GB storage variant, and Rs 9,499 for the 3GB RAM + 64GB storage option. Redmi 6 Pro is the top model in this series and sports a 5.84-inch full-HD+ screen. Powered by MIUI 10, the smartphone comes with the octa-oct-core 2GHz Snapdragon 625 processor. 12MP + 5MP dual rear cameras are on the back, and a 5MP camera with HDR is in front. Battery capacity is slightly bigger on this model at 4,000mAh. The Redmi 6 Pro price in India starts at Rs 10,999 for the base 3GB RAM + 32GB storage model and Rs 12,999 for the variant with 4GB of RAM and 64GB internal storage.